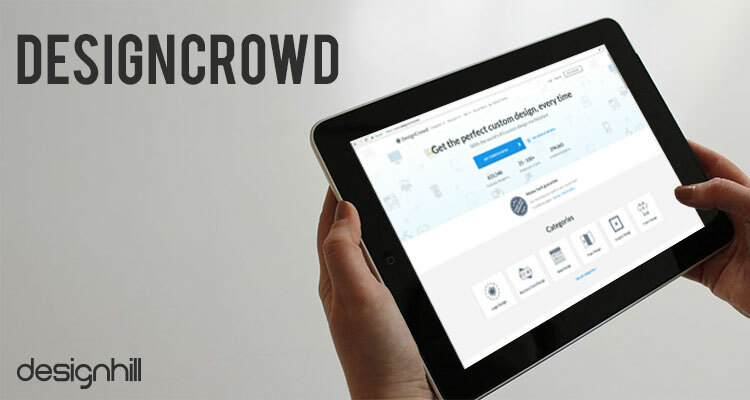 Crowdsourcing is probably the fastest growing way to get different works done at cheaper prices with efficiency. Even a wide range of designs are now sourced from such platforms. Right from a company logo to creating a website, small businesses depend on crowdsourcing sites to build different visual identities. Today, the web is crowded with these sites. If you have no experience in creating a graphic design, you should hire a designer rather than trying your own hand. A badly created visual will leave a negative impression on your target audience. Your casual approach towards logo designing may even cause an irreparable harm to your business in the end. So, get a trained designer to the graphic designing work done. However, availing the services of a professional logo designer or any designer prove to be expensive for many entrepreneurs. They are in the phase of setting up their business. Therefore, even a saving of small amount of money matters a lot to them. Because of budgetary constraints, increasing number of entrepreneurs look forward to crowdsourcing sites for their various design needs. Startups and medium-sized entrepreneurs also look forward to sourcing their design solutions from such platforms. In fact, affordable price packages of such sites are a key reason for the fast increase in their number and growth on the web. The internet has opened up this amazing sourcing model called ‘crowdsourcing sites’ where you can get help and ideas from people across the globe. You not only get the best ideas and get work done but get your work done quickly, cheaper and more efficiently. Crowdsourcing has been quite effective in the field of graphic design and other creative projects like architecture and interior design. There are a number of crowdsourcing sites where you can get the work done for your dream project. The pricing plans are dynamic and based on the kind of design service you are looking for. Almost all the services come in different packages like Fast Track, Standard, Executive and Premium. 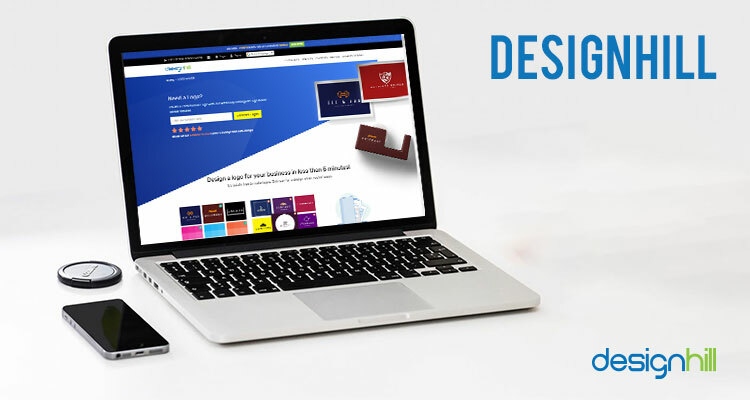 The site provides design solutions in various categories such as Brand & Identity, Business & Advertising, Clothing & Apparel, Illustration & Art, Product Design, brochure design, Social Media and Website & App. 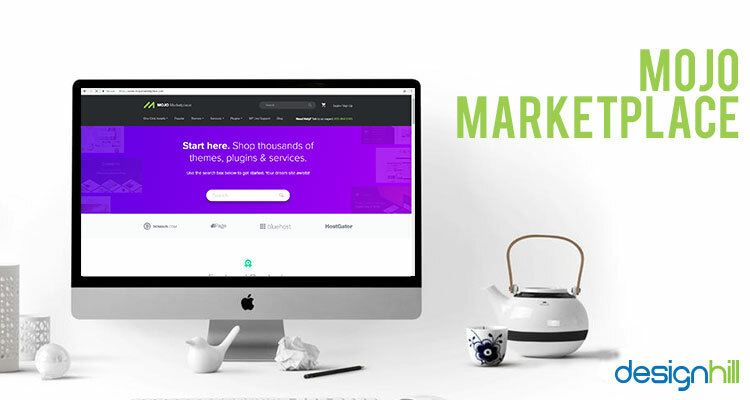 Creative Market is one of the crowdsourcing websites that has a wide variety of design content ranging from photographs, graphic design to templates, themes and fonts. The designers can put their shops on this site to sell their products online. Currently, there are more than 21,000 shops selling design content. The buyers or clients purchase credits on the site else buy each product separately. The different purchase packages are for $20, $50, $100, $200 and $500 with bonus points for a higher package. However, it is a pure marketplace and you cannot get your product customized by a designer. You can do it yourself as the templates are pretty much ready to use! 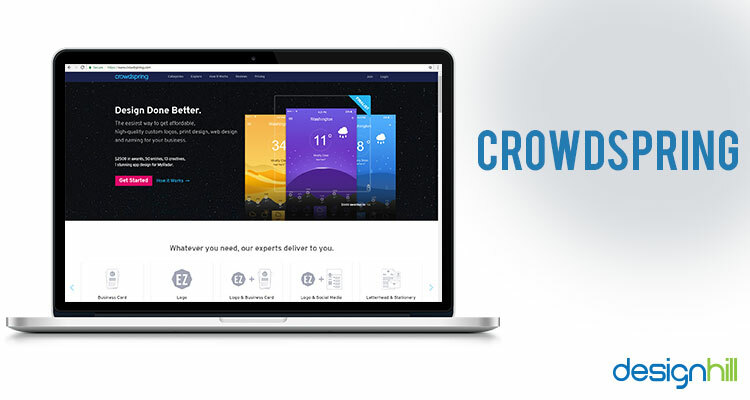 Crowdspring is one of the best crowdsourcing design sites having more than 200,000 designers and creative persons. They are only contest based site where you have to post projects to start receiving designs from designers. They have the regular categories of graphic design as well as Naming projects and they also have a category called Business Content. The business Content category includes Technical Writing, Presentation Writing, Blog, Newsletter and Web Content. If you are new to crowdsourcing, you might be worried about getting the best value for your buck. In such a case, you can choose to go in for a free design consultation before listing your project on the site. 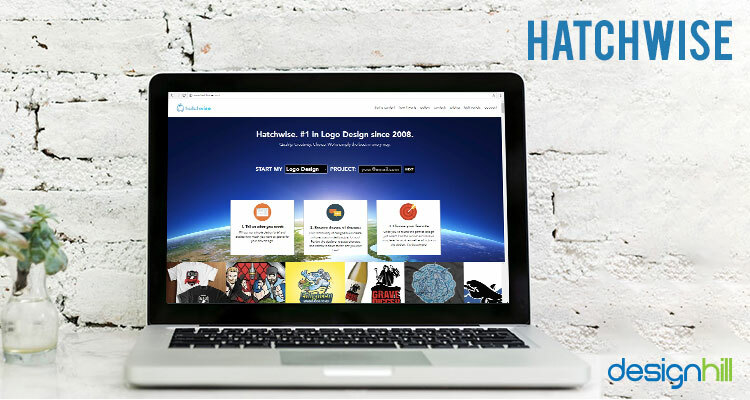 Hatchwise is a design platform popular for two niches – Logo creation and Naming projects. While it does offer services web & mobile app design as well as print design, its forte lies in designing of logos. It has created more than million logos since inception! The other unique service it provides is the naming service where you can launch contests to name your company, your product, your domain or even your slogan and tagline. For the design contests, you need to spend $39 for listing the contest, after that you have to pay only for the design you like. For the naming contests, the packages start at $99. 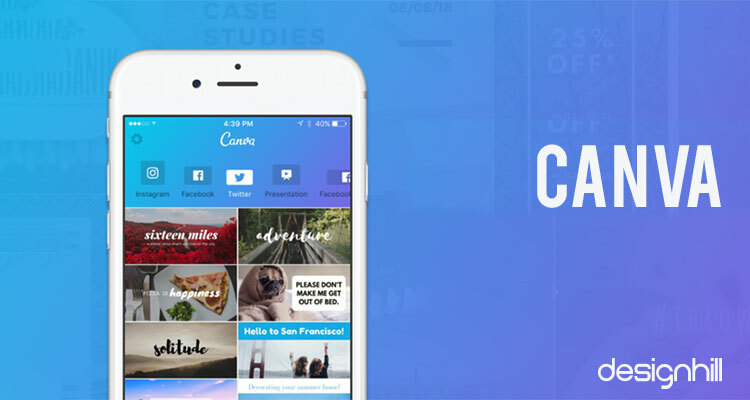 Canva is a popular design startup and has started their crowdsourcing marketplace platform for layout design. Most startups are today using Canva for their social media layouts. The service gives a lot of options that you can use for free but you need to pay for the more premium layouts. They have a great pricing where for $12.95 per month you can get access to all the templates and designs. You get the expertise of all the layout designers for social media campaigns all in one go! 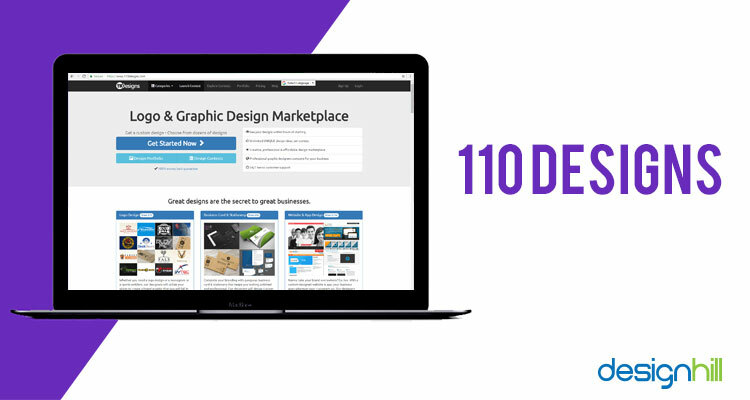 110designs is a crowdsourcing site for a range of graphic designs. 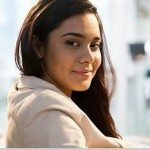 So whether you are looking for transforming your social media pages or revamping your website, you can find the right designers to do the job. You can get started with design contests on the platform, the pricing is quite reasonable. For instance, the design packages start from as low as $110. However, unlike more all-inclusive crowdsourcing sites like Designhill, 110designs does not offer one-to-one services or custom services. You only have the ability to post a contest on the platform. While it’s definitely the best way to crowdsource, it is not a complete marketplace. 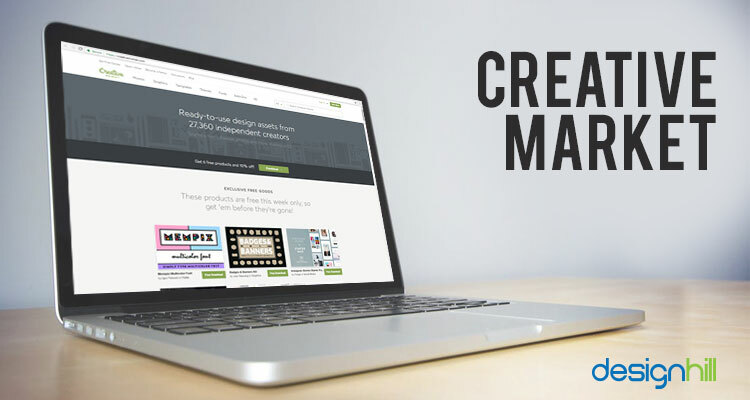 Envato Market is like the Amazon of crowdsourcing sites! It has literally all the components you need for your dream project. It is like a creative market where you can simply buy the products. 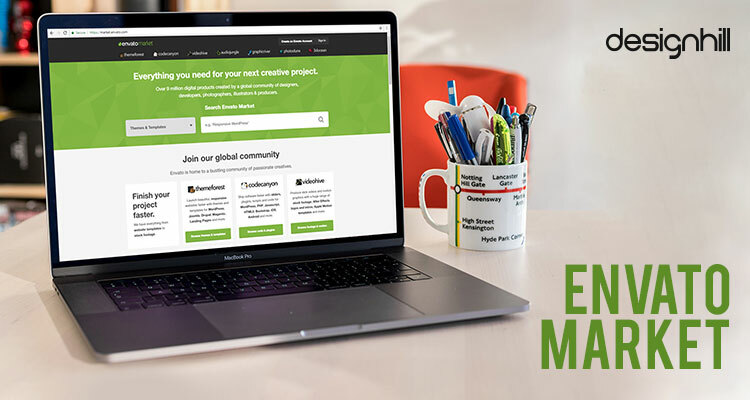 They, however, also have Envato Studio where you can work with designers for custom projects. However, unlike Designhill, you cannot customize the products you have purchased from here. Additionally, you need to bear extra cost for one-to-one work! 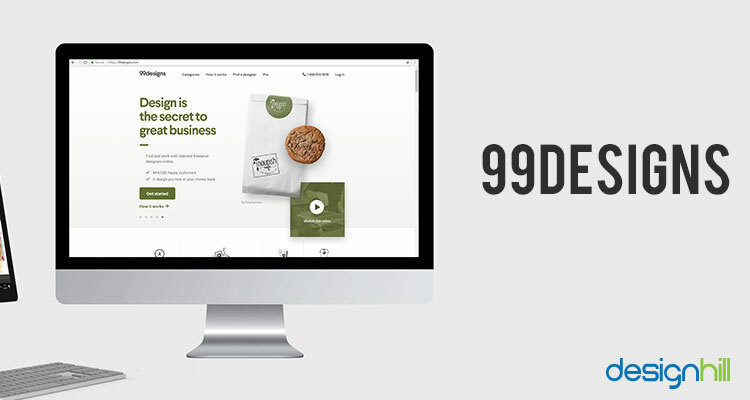 99designs is one of the leading crowdsourcing sites which has already served over 360,000 customers. Most 99designs projects go through the contest channel wherein you post a brief for the designers. You will receive a number of entries from designers and then pick the one you like best. You can even have the option of asking for further edits. It has all the typical design categories including Packaging & Label, Logo & Identity, Magazine & book cover design. The pricing is based on four plans – Bronze, Silver, Gold and Platinum with the Platinum being a complete package. They have a one-to-one service with 99design Pro as well as a discovery model where you can directly connect with any designer you like. These were some of the Top 10 crowdsourcing sites where you can get the best designers for your dream project. Logo Arena was founded in 2010. This crowdsourcing platform is known for its budget-friendly prices for small businesses and startups. The clients are offered a money-back guarantee that minimizes their financial risks. The site offers a global pool of talented designers. DesignCrowd has more than 576,000 designers listed on their platform. Their model is the same as that of most other crowdsourcing sites; you can post your requirement on the site as a contest. You need to set a timeline so that designers can return with the designs and then you can choose the one you like best. They offer design services across four categories – Logo design, Corporate Identity, Web Design, Graphic Design and Print Design. If you don’t like any of the designs, you can get your money back within 60 days! These design competitions are the best way to crowdsource and are literally the heart of the concept of crowdsourcing. Launched in 2010, 48hourslogo offers its customers high-quality designs at reasonable prices. The site claims to have helped more than 40,000 small businesses in creating the designs as per their needs. To get your logo at this site, you need to launch your design contest. At this affordable platform, you can even start your contest for only $29, which is surely a low price to get the design. MOJO Marketplace is one of the best crowdsourcing design sites for website design and creation of logos. If you are looking for a one-stop shop for your entire website then this is where you need to go. Be it WordPress themes, plugins, business tools and even logos, MOJO is the place for you. Like a marketplace, you can simply buy whatever products you like from the hundreds of options available to you. They have also expanded to provide professional services by connecting you to the designers directly. Design Contest is another popular crowdsourcing site known for its ease of access and multiple helpful features. All you need to do is to provide your design brief and then, a team from the site will help you in creating a logo or other design. The client then picks a winning design. 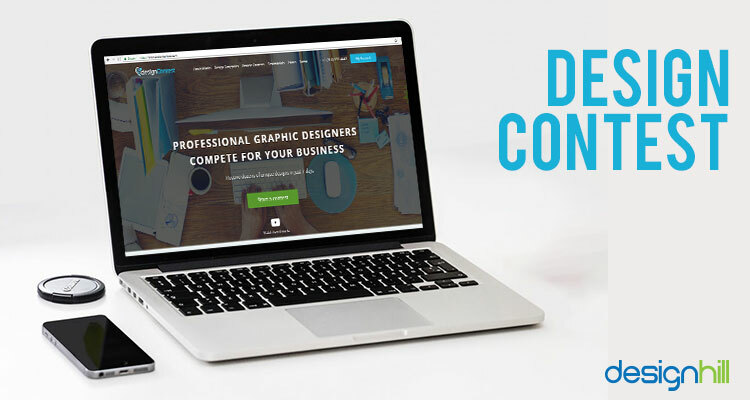 This site is useful for small businesses and startups when they need designs at low fees. They can expect up to 75 designs in response to a design contest. The site also lets clients work with their favorite designer in a 1-on-1 project. You can pay in your local currency. Design Bro offers services to create logos, brand identity design, and packaging design. At this site, provide your design requirements in a brief. Many designers will respond to the brief. You can pick one of the designs as a winner of your contest. The professional graphic designer will transfer full copyrights over the design to you using the site. Logomyway is one of the few crowdsourcing sites that are dedicated to creating logos only. Small business owners can use this site to get the customized designs as per their specific requirements. There are hundreds of custom logos to choose from. 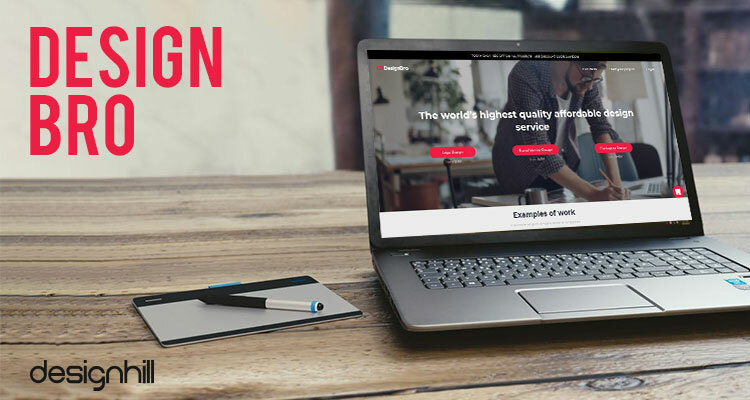 This site claims to have over 20,000 creative designers who provide their online graphic design services from all over the world. You can start the contest for as little as $ 200. The site provides a dedicated design specialist on your request to guide you. The specialist will answer your questions if any. Out of many design submission in response to the contest, pick the one that you find best for your business. The site will complete all the legal formalities to give you full copyrights over the design. So, these are the major crowdsourcing sites that you can explore to get your design work done to your satisfaction. But you should compare their price packages extensively to find out the most cost-effective site that provides you with the desired results.One such dependable site that we have discussed above is Designhill. You can source your logo etc design solutions at an affordable price with this platform. There are plenty of crowdsourcing sites that are dedicated to providing different design solutions to small and medium businesses. These sites are also a cost-effective way to get logo etc visual identities of your companies. Most such marketplaces work on contest basis. The clients pick a winning design out of many in response to their contests.